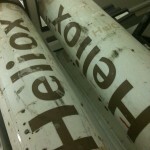 Heliox is a mixture of oxygen and helium for respiratory applications. The comparatively low density of helium reduces the Reynolds number of the flowing gas and suppresses the onset of turbulent flow. This enhanced laminar flow reduces the resistance to gas movement, particularly in airway obstruction. Heliox administration. Heliox is increasingly used in the treatment of upper airway obstruction. However, traditional methods of administration are of questionable efficiency. By developing tracheal gas sampling and mass spectrometer analysis techniques, we have demonstrated that significant air entrainment occurs in spontaneously breathing individuals unless the delivery system is carefully designed. We are studying optimal methods for the administration of Heliox. We have developed methods for blood helium analysis and are investigating their potential role in assessing the effectiveness of Heliox delivery. Heliox as an adjunct to extubation. Critically ill patients who have been mechanically ventilated may fail to breathe adequately when the ventilator is withdrawn due to the increased work of breathing. It may be that Heliox, by decreasing the resistance to gas flow, reduces the need to re-institute mechanical ventilation in such patients. We are studying the effect of optimal methods of Heliox administration to see if we can reduce the incidence of failed tracheal extubation in critical care patients. Maintaining adequate organ perfusion is central to perioperative and critical care medicine. Yet, the coupling of the heart to the vascular system, the relationship between pressure and flow and the propagation of the arterial impulse through a branching structure is complex and still poorly understood. Time resolved cardiovascular pharmacophysiology. 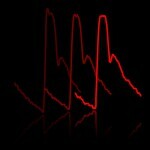 A number of commercial instruments allow beat-to-beat measurement of cardiac output and systemic vascular resistance. We are developing combined pharmacokinetic / pharmacodynamic numerical models of the effects of pharmacological agents on cardiovascular physiology on these new ultrashort timescales. Critical care services may be vulnerable to surges in demand. The influenza A (H1N1) pandemic has heightened concerns that, under certain circumstances, critical care provision may become overstretched. 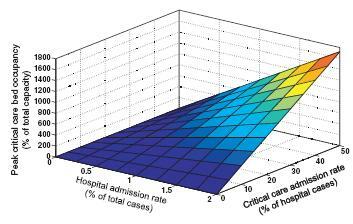 We have modelled potential adult and paediatric intensive care occupancy under pandemic conditions.